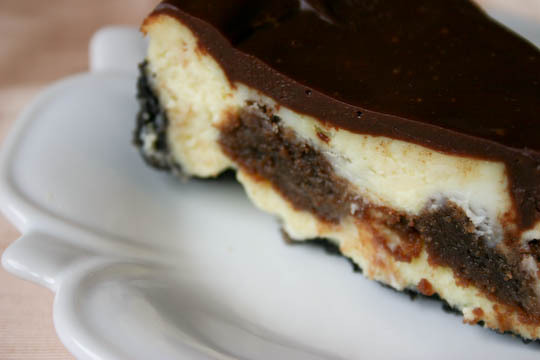 Homepage / brownies / Brownie Mosaic Cheesecake. Let’s talk about this cheesecake. 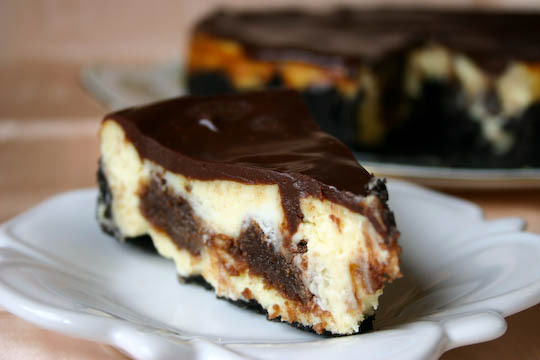 Rich, creamy cheesecake? Double check. Fudgey bite-size brownies? Addicting. And yes. A chocolate ganache glaze? Yes. 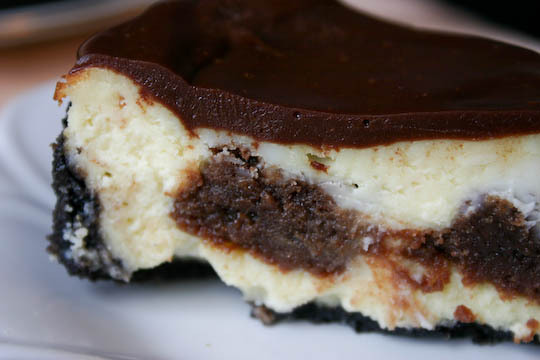 I could eat cheesecake everyday… except for that nagging little issue of fitting into my pants. It’s my favorite dessert. Birthdays, anniverseries, Thursdays, whatever the reason to celebrate, some people do cake, some people do ice cream. I do cheesecake. You can bet when I get married I’m going to have a cheesecake wedding cake. Is that even possible? So it’s probably a dangerous thing that I know how to make one now. A cheesecake, that is, not a wedding cake. Especially this cheesecake. This was rich and over-the-top with squares of fudgy, chocolatey brownies mixed into the batter and an addicting Oreo crust that I could have seriously eaten by itself if that sort of thing were socially acceptable. And the ganache over the top was perfect, especially since mine developed a giant fault line down the middle somewhere between coming out of the oven and cooling. 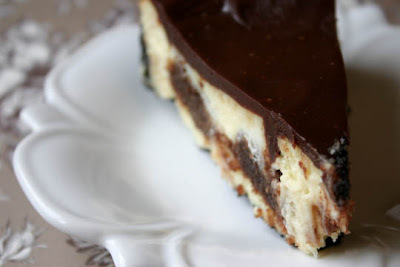 Not only did the ganache cover it up, but it seeped into the cheesecake in parts and was super delicious. 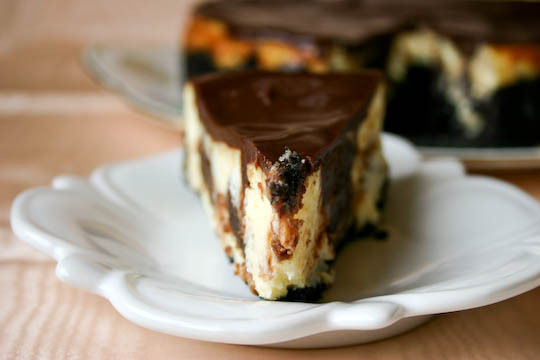 If you love cheesecake as much as me, this is a recipe that I know you’ll love. 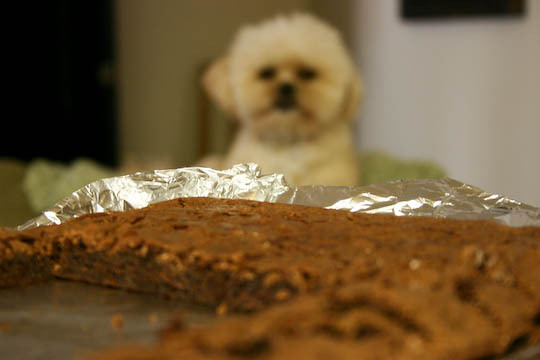 And the best part is you end up with lots of extra brownies it’s actually really easy and uncomplicated to make! Preheat oven to 350°F. Line a 13×9-inch baking pan with foil, with ends of foil extending over sides of pan. Grease foil. Previous post Soft, Chewy Chocolate Chip Cookies.